With summer just around the corner, chances are you’re planning a cheap summer vacation for your entire family—a vacation where everyone can have fun without breaking the bank. There’s a reason camping tops the lists of frugal family getaways. About.com estimates that you can take a family of four camping for an entire week for less than $1,000—and that’s for first-time campers. Already have your tent and gear? The costs just got even lower. You could also rent a great reliable motorhome hire for the week and save money that way. But having a frugal camping trip doesn’t always guarantee a fun family vacation that everyone will enjoy. 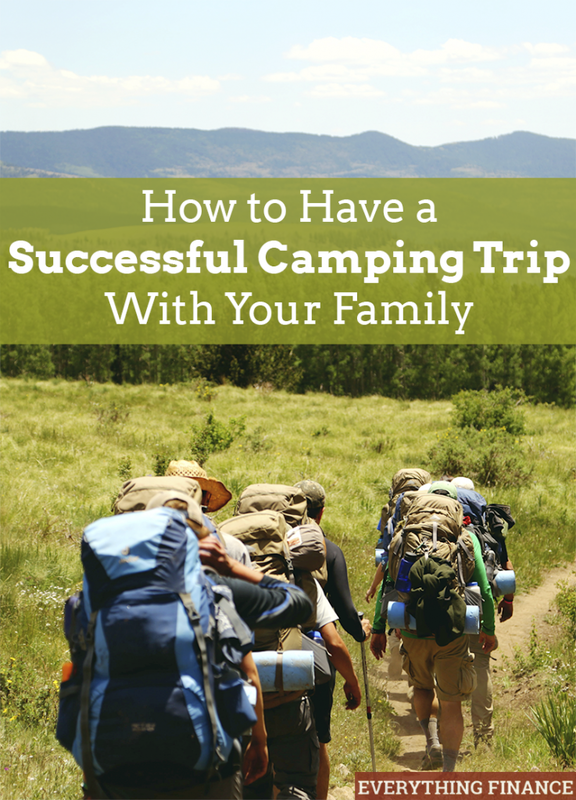 Here are some tips on how to have a successful camping trip that your whole family will be talking about for years to come. Involve your children in the planning of the trip. Studies show that much of the happiness from a vacation actually comes from the anticipation of it. Let your children get in on that happiness by involving them in the planning of your trip, from buying any equipment to helping plan the food menu and, of course, buying supplies for smores. Getting your kids involved will not only heighten their anticipation of the trip, but will help set the tone of the trip as a fun and exciting adventure where you’ll spend quality family time together. Half the battle is actually getting to the campsite. Playing car games like 20 Questions, I Spy, Truth or Dare, or seeing how many different state license plates you can find will get your children in the mindset of participating in a family vacation, rather than hiding behind electronic devices. Many times, radio chatter can even spark some discussions where you’ll learn a lot about your family members. Set the tone of the trip by getting your family involved on the car ride to the campground. While parents may enjoy the freedom that a camping trip provides, oftentimes kids will find there isn’t really much to do. In this day and age of constant digital stimulation, children may actually have a hard time figuring out how to enjoy themselves in the great outdoors. Schedule activities like hikes, bird walks, bat walks, game nights, fishing, a card tournament, or charades to show your kids that fun can be had. Limit the schedule to one to two major activities a day so you don’t overstimulate yourselves, and so you still get to enjoy the relaxation of doing nothing. It should go without being said, but make sure to pack the right materials for the area you’re visiting. Nothing will put an entire family in a sour mood faster than being caught in a rainstorm without adequate gear. Having a rechargeable lantern is essential to camping these days, as you can’t rely on a file to provide light all night. If you’re a total camping newbie, you probably don’t know about safe propane tent heaters for camping and should visit a local camping store like REI where the experts can help you out on making sure you’re adequately prepared. Above all, remember to have fun, keep the mood light, and go with the flow. Camping trips aren’t meant to be regimented European vacations. They’re supposed to be a time to relax, enjoy the outdoors, and spend time with family. Have you been camping with your family before? What made it an enjoyable experience? We are leaving for a weeklong camping trip this weekend. I cannot wait! These are very helpful hints! I am wanting to try and get in a camping trip this year. Hopefully it works out! Once in every three months, we have a camping trip activity with kids. They really love this activity as they discover lots of skills and things about themselves. The cooking part is what they love.